THE NATION’S PREMIER BUILDING AND CONSTRUCTION SHOW Dallas9 & 10 WEDNESDAY & THURSDAY 10:00AM - 3:00PM SEMINARS START AT 9:30AM! 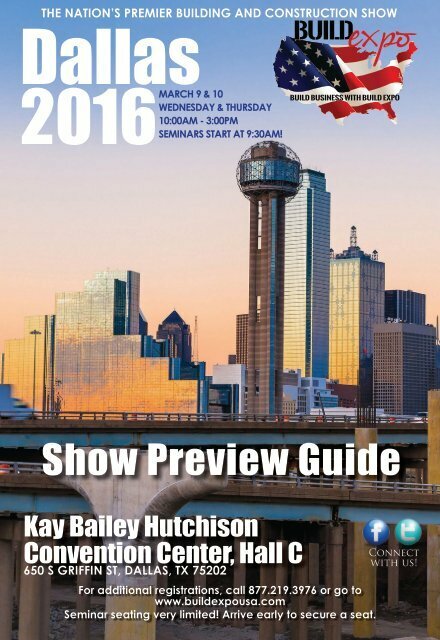 2016MARCH Build expo Build business with build expo Show Preview Guide Kay Bailey Hutchison Convention Center, Hall C 650 S GRIFFIN ST, DALLAS, TX 75202 For additional registrations, call 877.219.3976 or go to www.buildexpousa.com Seminar seating very limited! Arrive early to secure a seat.  Connect with us!